This is one of those hauls that I feel proud of hee hee hee. This is because it's my first visit to an innisfree store and my first time to buy innisfree stuff! 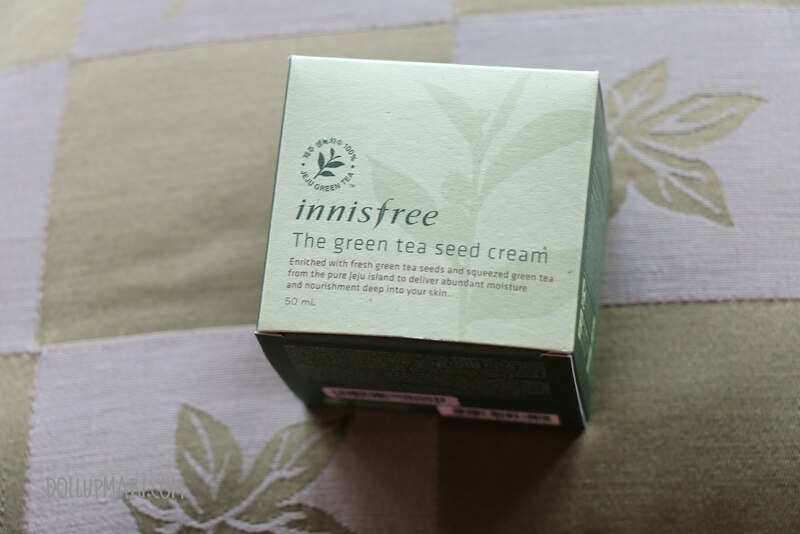 I've been seeing a lot of stuff about innisfree on the internet and how a lot of their products are sensational holy grail products of so many girls all over Asia, but since there seems to be not outlet in the Philippines yet, it was only in Hong Kong I was able to hoard products of this brand. 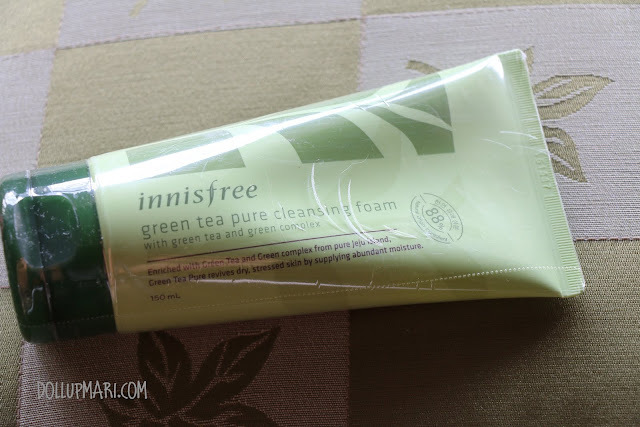 Anyways, let's get started with my haul! 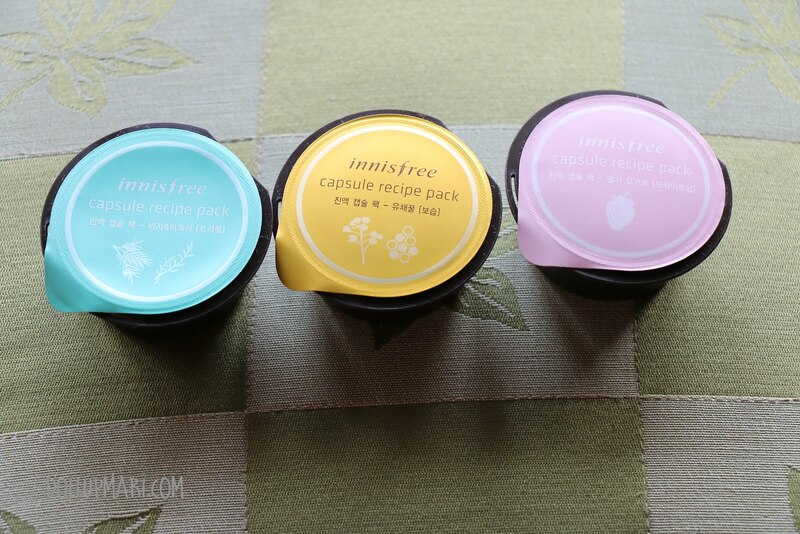 I got three canisters of their capsule recipe pack. This is like a mask goo in a jar, contrary to the usual mask sheets we see. 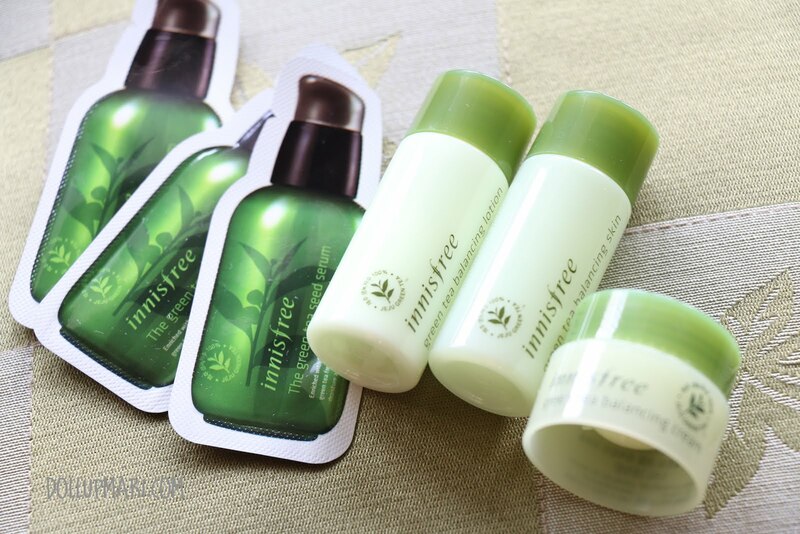 I got this Jeju bija and tea tree variant because the saleslady recommended this as a product good for oil control. 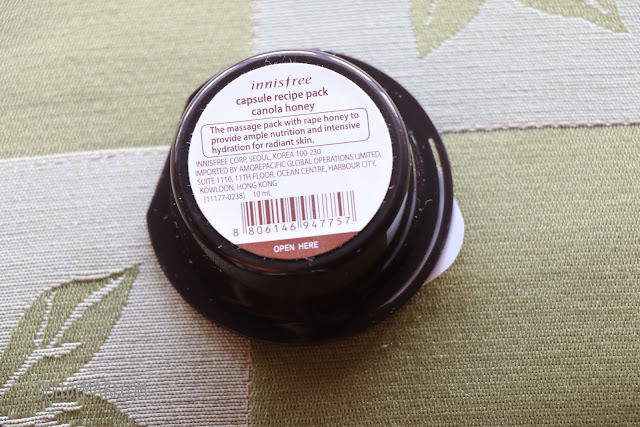 I got honey simply because I love the smell of honey and love honey-based products in general. This no-sebum mineral powder is an impulse buy but I don't regret this because I have really oily skin, and given that this is the Philippines, I think it'll work on most skin types. 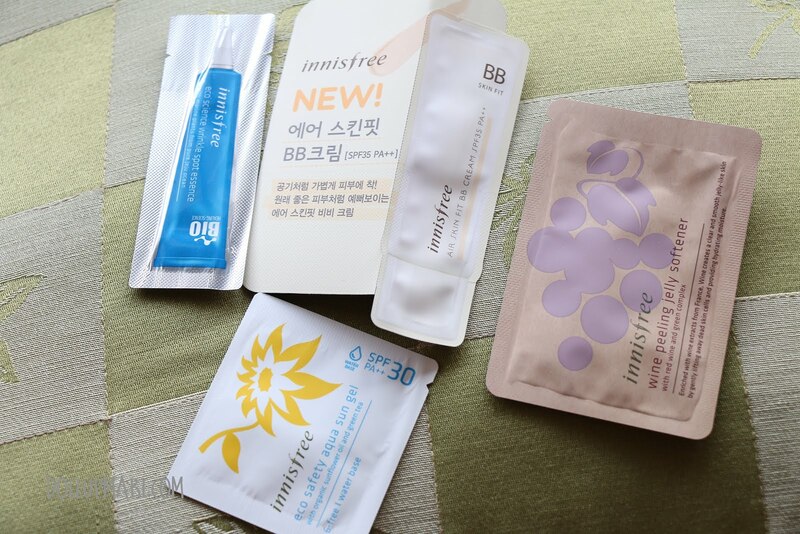 I also got a tube of BB cream in shade 01! 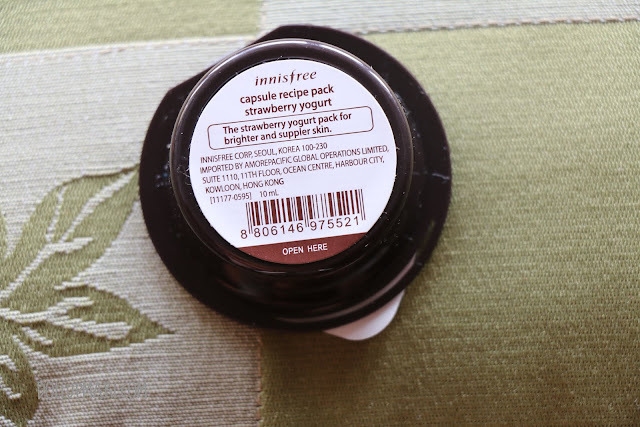 I loved the color of this BB cream because it was a really nice pinkish toned color, really close to my natural skintone. 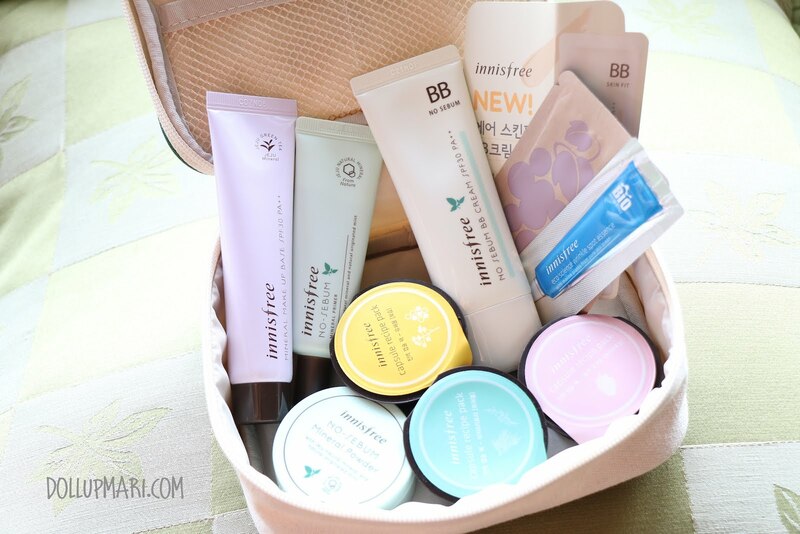 This is rare because the usual BB creams I see are grey based or are yellow based. 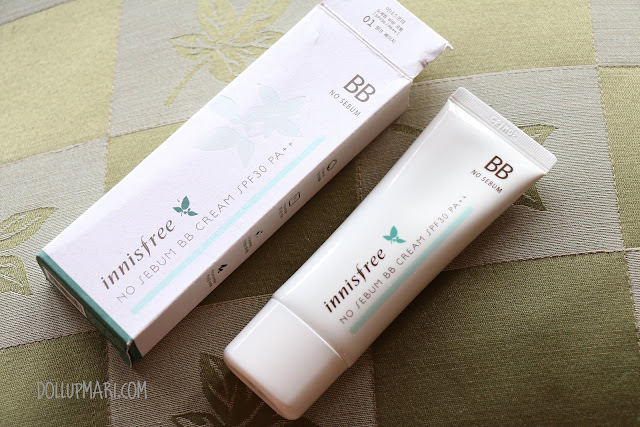 I also like that this is a no sebum BB cream! I hope it sticks true to its promise. 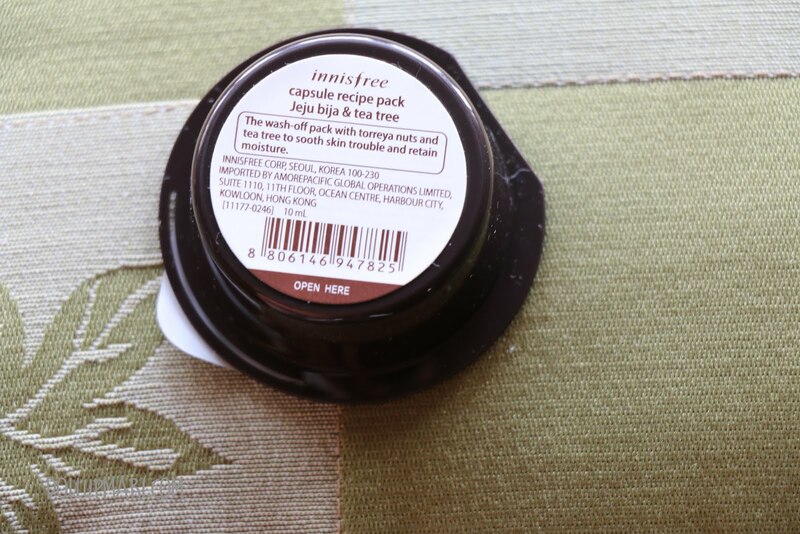 And this is another tester that wowed me. Though personally I have reddish skin and need green correctors, it's a reality that a lot of my friends are very yellowish and need a purple corrector like this. 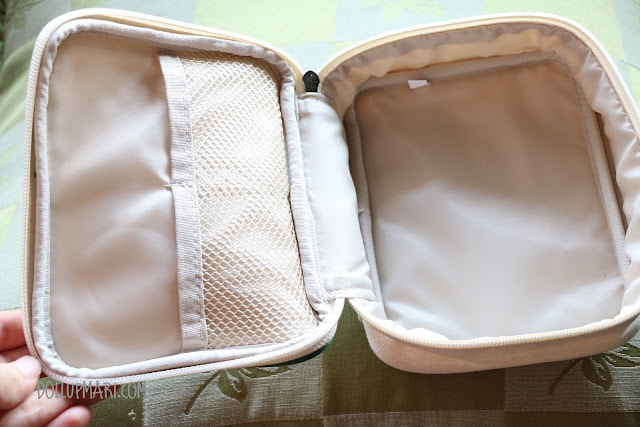 I was impressed because the usual violet corrector I see becomes this ghostly white when blended, while this one still retains a faint purple color. 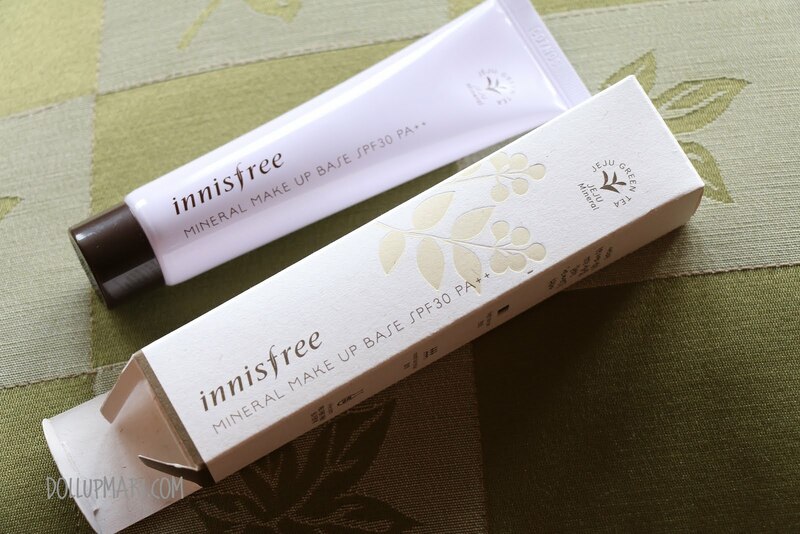 I also like that it's a mineral makeup base. I just hope that the SPF won't distort the final effects in pictures! And this is what everybody is supposedly raving about. 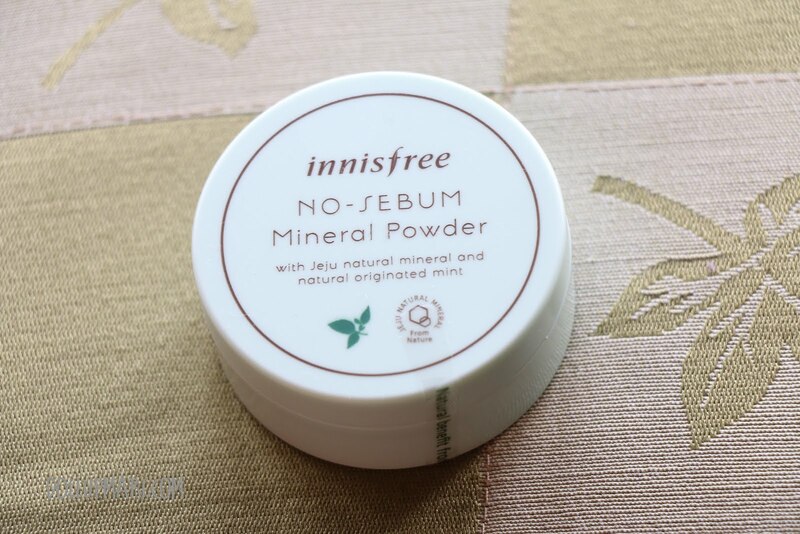 This is their no sebum mineral primer. This felt like Maybelline's Baby Skin and Benefit's Porefessional on the skin at first impression. But I have yet to observe its longevity and the other properties I look for in a primer of this kind. And for skincare, I also got myself a skincare box! 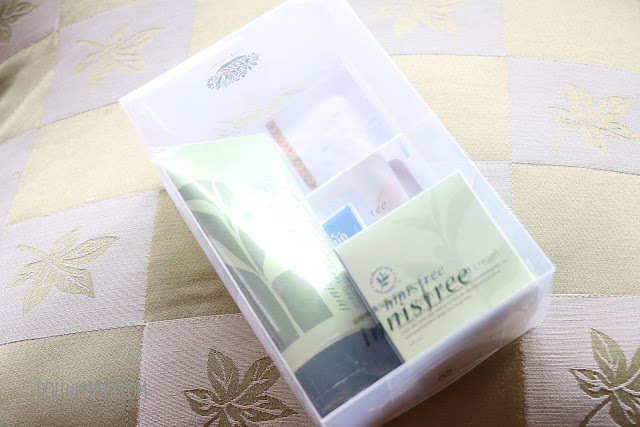 When you buy the green tea pure cleansing foam and the green tea seed cream, they have this promo box where there are other freebies included. 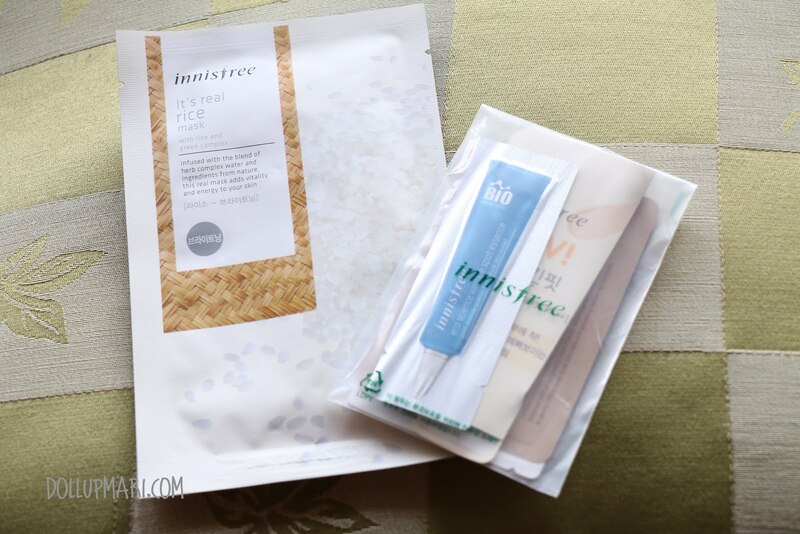 Included is one sheet of their rice mask sheet, as well as a bag of sachet samples. 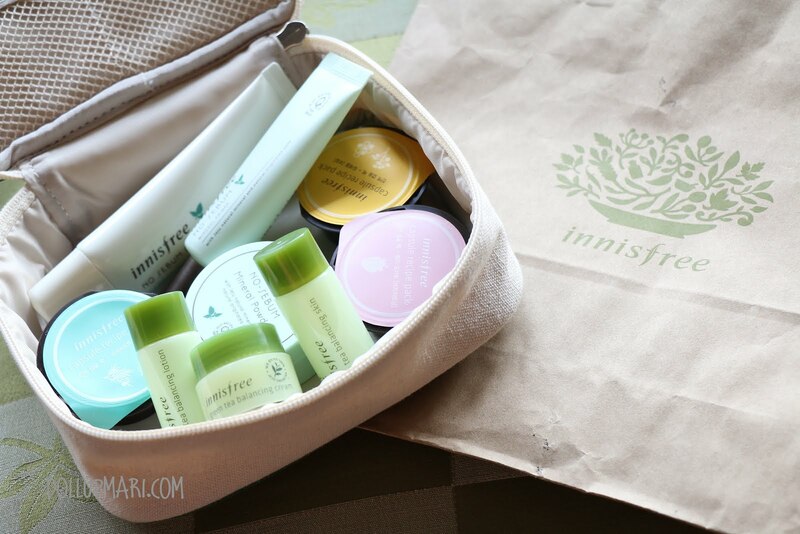 The bag contains aqua sun gel, a BB cream, wine peeling jelly softener, and eco science wrinkle spot essence. And for my gigantic haul, they had nice presents in store! 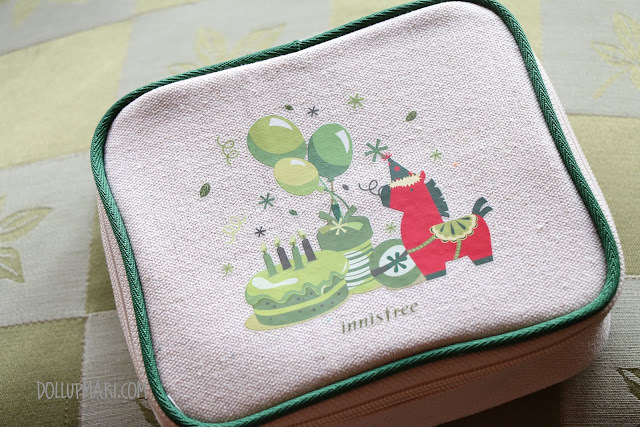 The first is this really cute makeup pouch! I'm so excited to use this baby. 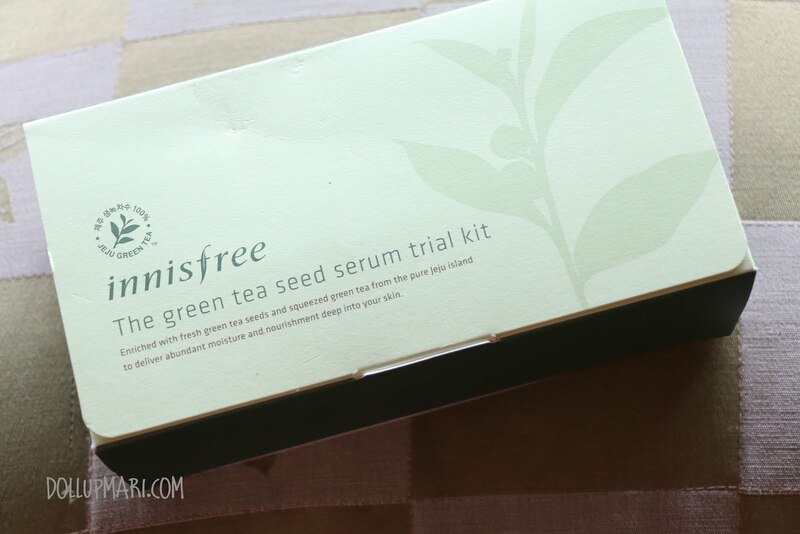 Also part of the freebies is this box of their green tea seed serum trial kit. 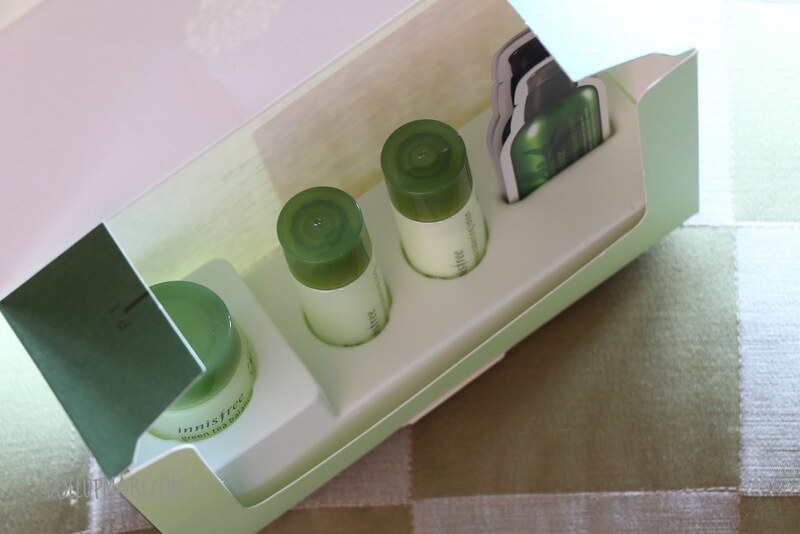 The trial kit contains their green tea line, consisting of serum, milk, lotion, and cream for the face. When I'm done with my hadalabo trial kit I'm really excited to use this. And to kind of illustrate how long the line was, my mom was still able to paparazzi me while waiting in line, paying, and leaving the store. 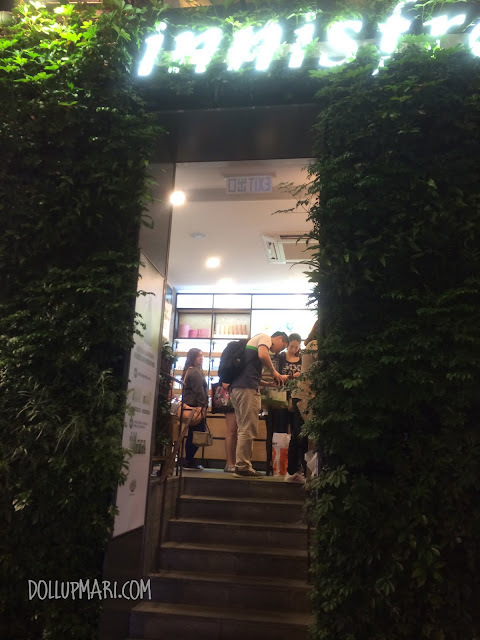 The store itself is just about as big as an average person's bathroom but there's about 15 people in line at a time. And that's it for my haul! 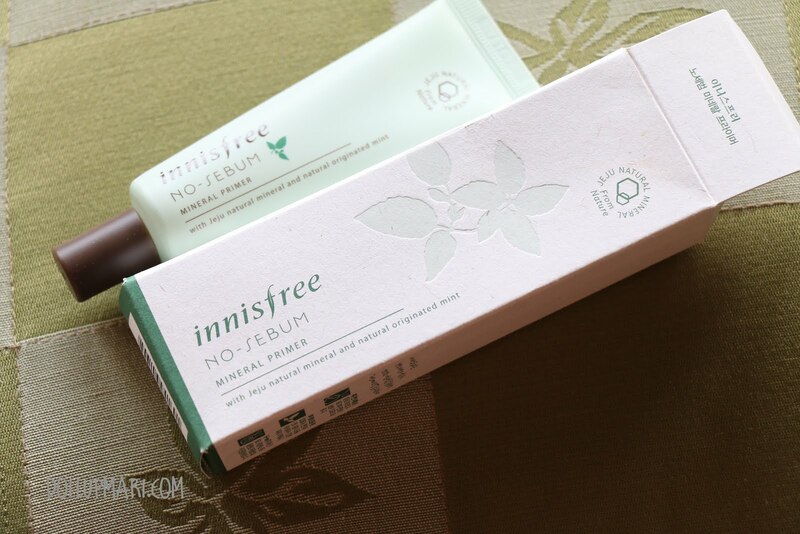 Watch out for my reviews of these products soon!